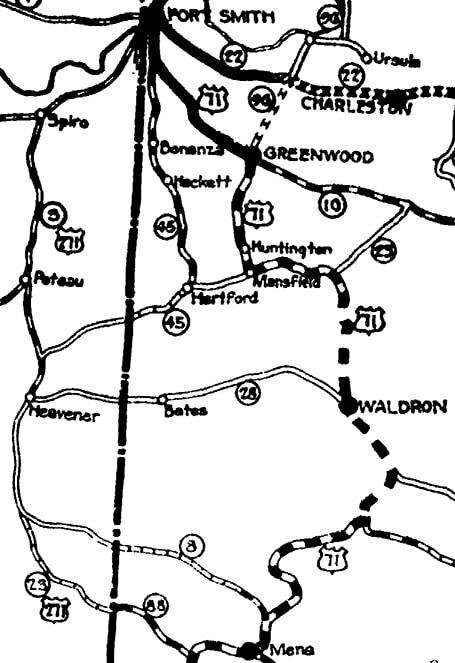 US 271 was among the routes included in AASHO's original 1926 log. Its endpoints were listed as Ft. Smith and Mena, and its route was shown on some maps from that timeframe. 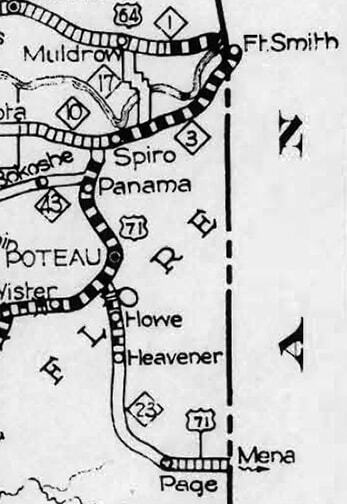 However, there are several reasons to suspect that US 271 may have never been actually signposted along its Arkansas segment between Mena and the Oklahoma line. Ft. Smith and Mena are both in Arkansas, and they were (and still are) served by US 71. The distance between those two towns is about 80 miles, along a segment of US 71 which remains entirely within Arkansas. US 271 was also described as an 80-mile route in the AASHO log, although the actual distance would have been more like 86 miles. And the majority of that route (about 63 miles) went through Oklahoma. Especially during those early years, the US routes were expected to carry the main flow of traffic. Most community leaders wanted a US highway to run through their town, in order to reap the anticipated economic benefits. 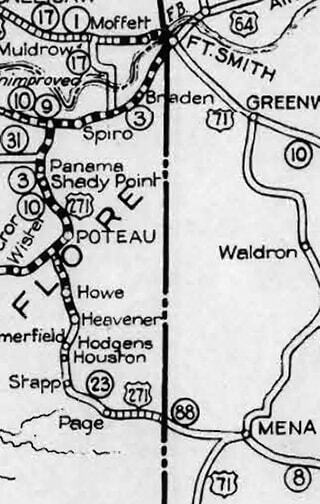 In this specific case, Oklahoma would have wanted AASHO to route US 71 traffic through Poteau and Heavener. Failing that, they would have wanted a different US route designation to pass through their state, one that travelers would view as an alternate route to US 71. 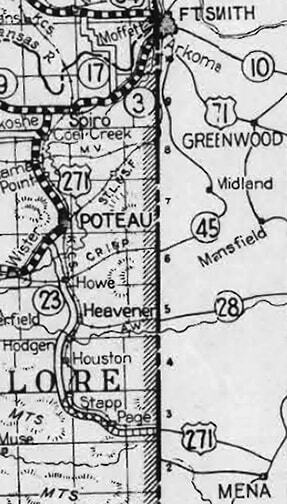 AASHO probably approved the US 271 designation as a concession to Oklahoma. But Arkansas, on the other hand, would have wanted traffic to remain in their state, and would not have been motivated to inform travelers about an alternate route through Oklahoma. 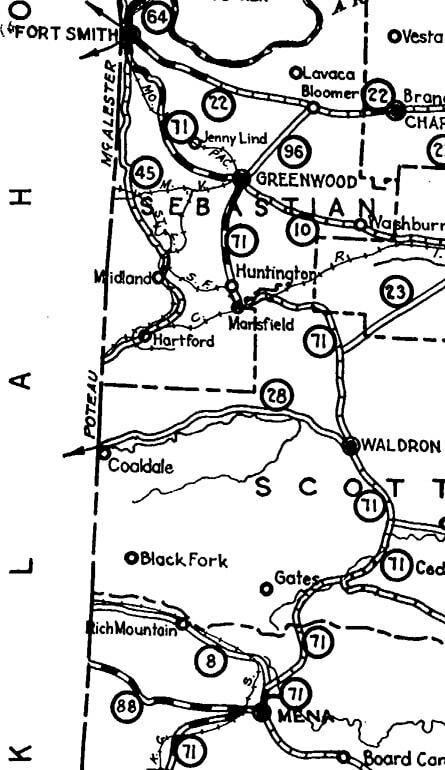 It was probably a result of these conflicting interests that, during that timeframe, official maps from each state showed significant discrepancies in route information. 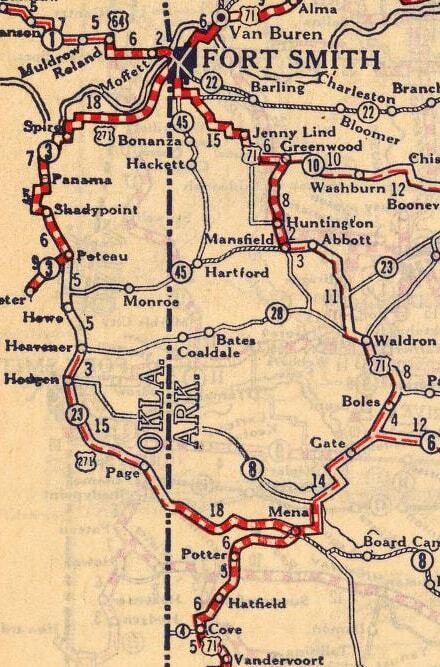 Once the US routes had been approved, the next issue of Oklahoma's map actually showed US 71 running through their state! ...but note that it showed US 271 joining US 71 southwest of Mena. If that had been the case, then US 271 would not have gone through Page. 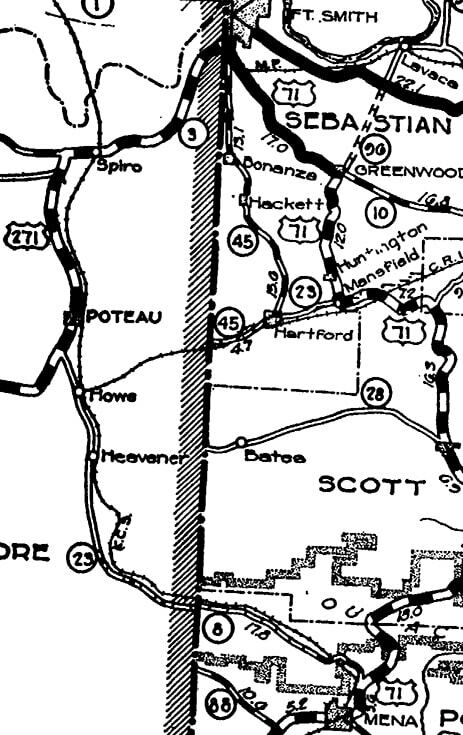 Instead it would have gone south from Zoe to Big Cedar, then eastward (via today's OK 63 and AR 8). So it appears that the two states had a disagreement not only about the designation of this highway, but also about its corridor. This provides further cause for suspicion that Arkansas was not signposting US 271. 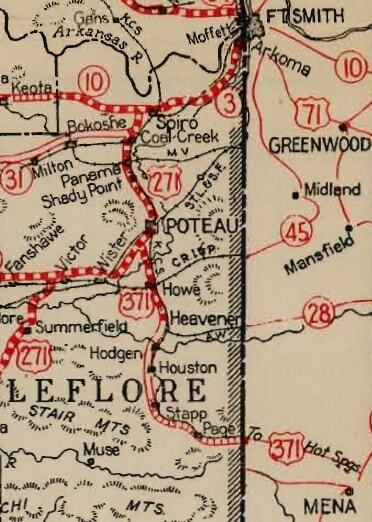 Oklahoma's map from the following year (1931) showed that the US 270 designation had been applied to the corridor between Mena and Heavener, and the 1932 Arkansas map followed suit. But the main point of this page is to demonstrate reasons why US 271 may have never been signed into Mena. For additional maps and research, please see this blog post by Jeremy Lance. last updated Mar. 14, 2019.